Who Wins Out of the Wilder v Fury Fight This Weekend? What Are Our Top Tips for the Wilder v Fury Heavyweight Clash This Weekend? In the early hours of Sunday morning, American WBC Heavyweight World Champion Deontay Wilder will climb into the ring for arguably his toughest test as a professional, as he takes on the former WBA, WBA, IBF and IBO World Champion and the as-yet undefeated British fighter Tyson Fury. The fight sees two of the biggest stars in the heavyweight division clash in what is being viewed by many as the first step towards a unification bout between the winner of this fight and the holder of the other four belts in the heavyweight division, Britain’s Anthony Joshua. The feeling being that the winner of this bout could then go on to face Joshua at Wembley in the Spring of 2019 in what would be arguably one of the biggest super-fights in boxing history. 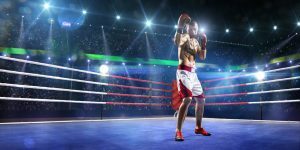 The fight is going to attract plenty of interest from fight fans who will be looking to enjoy a flutter on the outcome of the fight, and so in this article we are going to give you our tips on how we see the fight going, who will win and how they will win the bout. We also recommend that you place your bets with bet365 Sport and if you are not yet a member, you can sign up today with up to 100 in bet credits thanks to the latest bet365 Sport New Player Bonus. Deontay Wilder first came to more public attention when he landed the bronze medal at the 2008 Olympic Games in Beijing. That earned the American amateur the nickname of the Bronze Bomber, and shortly after achieving third place in Beijing, Wilder would turn professional, finishing his amateur career with a 30 win record with five defeats. The Alabama-native started his professional career with a convincing second round win over Ethan Cox and over the next few years, he would enhance his unbeaten record with a number of victories against fighters largely from within the US or from the neighbouring Caribbean, without really testing his credentials internationally. That changed in April 2013, when he came to the UK and destroyed former Olympic Games Gold Medalist Audley Harrison inside one round, a defeat which sent Harrison into retirement and which notably raised Wilder’s profile, with many mooting him as a genuine heavyweight World title contender. It was after another four wins that Wilder would fulfil that aim, when he was taken to points, the only time he has ever been taken the distance, in a WBC World Heavyweight title clash with Canadian Bermane Stiverne. Wilder won comfortably on points. Wilder became a World Champion on his 33rd fight and has fought and defeated seven opponents since to remain the WBC Champion. After being denied the chance to represent Great Britain and Ireland at the 2008 Olympic Games, due to losing David Price, a young Tyson Fury opted to turn professional later in that year, rather than wait four years to try again in 2012. He too had 35 amateur fights, winning 31 and losing four. Fury’s professional career began well enough but after seven undefeated fights, he was pushed hard in his eighth, being awarded a controversial win over John McDermott in a British Heavyweight title fight, when many experts felt McDermott deserved the win. Fury won his next two bouts before facing McDermott again, this time winning with a 9th round TKO. Fury embellished his reputation with wins over Kevin Johnson, Steve Cunningham, Joey Abell, plus two wins over fellow Brit Dereck Chisora. Those wins, plus a strong win over Christian Hammer, saw Fury earn a shot at the current WBA, WBO, IBF and IBO champion Wladimir Klitschko in 2015. Despite being the underdog, Fury produced a superb display, negating Klitschko’s main weapons to claim a stunning victory and to become the new World Champion. However, a torrid 30 months were set to follow where Fury failed a drugs test, admitted taking cocaine, had his British Boxing Licence stripped from him and also saw his weight balloon to 28 stone, as well as admitting he had mental health issues. This led to Fury relinquishing all the belts he held over that period. A proposed return to the ring in 2017 was held back by a lack of licence from the British Boxing Board of Control, but Fury did return in 2018 with a farcical win over Sefer Seferi, followed by a better performance against a much better opponent in Italian World Champion contender Francesco Pianeta. That victory saw him take the final step before he would take on Wilder this weekend. This fight is going to be a classic match up between someone who is a massive puncher, and someone who is a better, more technical boxer. 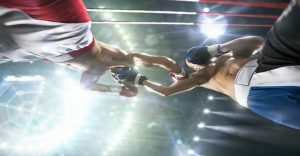 Usually in such matches, I would always tend to err on the side of the boxer, rather than the puncher, as they usually have the skills to effectively counter the one devastating punch and if not claim the win by KO or TKO, do enough to win on points. 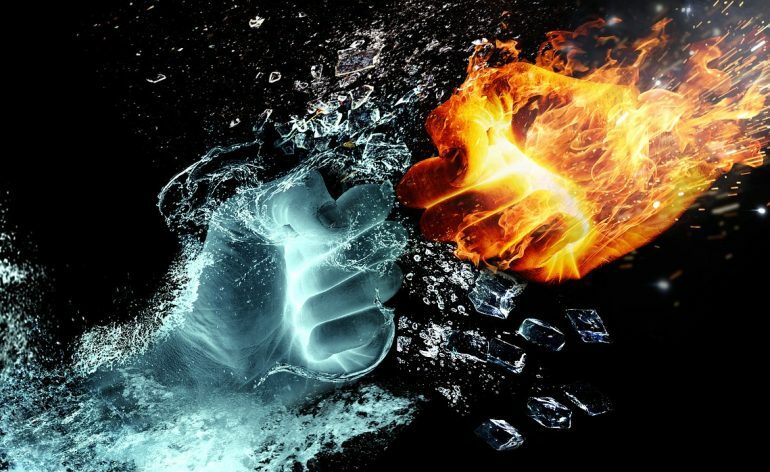 However, in this fight, I think the fact that Wilder has been the busier of the two fighters over the last two years, fighting a much stronger calibre of opponent and who hasn’t suffered with the same mental and physical issues that Fury has, I believed that Wilder has the ability to knock Fury out and claimn the victory, most likely relatively early in the fight. The fact that Deontay Wilder has knocked out 98% of his opponents means that if he is going to win, it is most likely to be because he has landed one of those devastating right hands and knocked his opponent out. I can see Fury trying to negate this by moving to a southpaw stance, as he tends to switch in fights a great deal anyway, but I do feel that Fury’s ring rust is going to be his downfall here. At some point, I think Wilder will land a heavy shot and that could well be the beginning of the end for Fury. Wilder’s sheer power punches are a huge threat to anybody in this division and if Fury had been fit and active over the last two years, then I feel he would likely have the tools to defeat Wilder at his peak. However, while he may be physically strong in terms of fitness, I think his ring craft will be rusty and that will be the key factor in Wilder landing the win here. Although you can get better odds on predicting exactly which round this fight will end in, and my prediction would be the fourth round, I think the better option is to take a spread of rounds, in this case from Rounds four to six with this bet, as you still get a very good price on that outcome with bet365. I see the fight starting cagey, with both fighters seeing what the other has to offer in the opening rounds, I can then see things opening up in the third round and I think of Wilder can land a big shot in the first three rounds, that will put Fury into an even more defensive mode. If that is the case then I think Rounds four or five will see Wilder push home that advantage and claim the win.